This month we continue to examine worship during the Patriarchal period of Israel’s history. Note that in 35:11-12 God repeats to Jacob the promises he had previously made to Abraham (12:1-3; 22:17-18) and Isaac (26:24). This well-known incident in the life of Jacob has some crucial implications for New Testament worship. 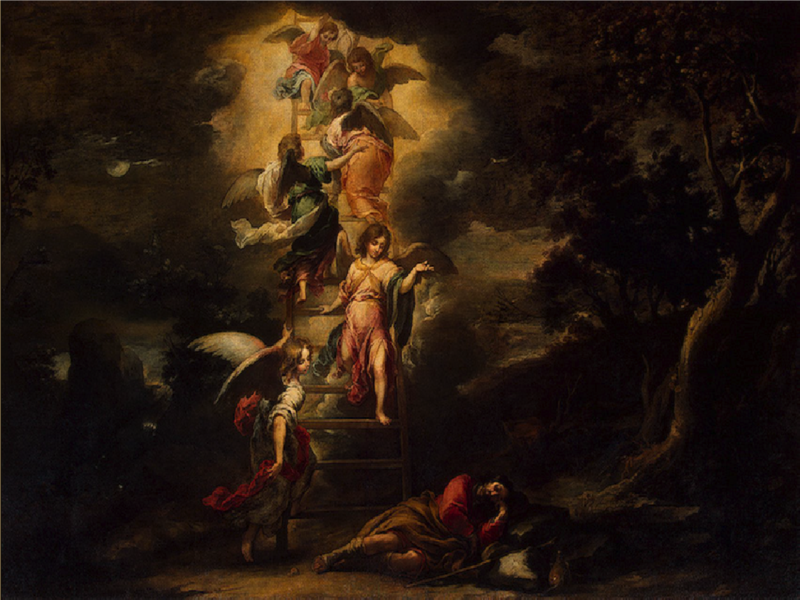 Jacob saw a vision of a ladder (or ramp) bridging heaven and earth, connecting God with man and man with God. Worship is possible because God connects with people and reveals His presence to them. It seems likely that, in a way Jacob did not fathom, that vision was a foreshadowing and looking ahead to a grand fulfillment in God’s plan and purpose in the history of Israel and of the entire world: a picture of the unique role of the incarnate Christ in mediating between God and man and making worship possible. Jesus Himself seems to claim in John 1:45-51 that He Himself is the fulfillment of Jacob’s dream. There He says to Nathaniel, “Truly, truly I say to you, you will see heaven opened, and the angels of God ascending and descending on the Son of Man” (v. 51). The language is almost identical to that of Genesis 28:12, except that instead of the angels going back and forth to connect heaven and earth by means of a ladder, it is now the Son of Man that provides that access and connection. Jesus seems to be saying: I am the fulfillment of Jacob’s vision; I am Jacob’s Ladder; I am the connection between heaven and earth, and God and man. The incarnate One is that unique and necessary bridge between and the divine and the human. Commentators have suggested some other clues in John 1 that point towards the likelihood that Jesus is deliberately referencing Genesis 28. To begin with, Jesus’ statement in verse 15 seems to come out of nowhere, unless one considers the theory that Jesus knew that Nathaniel, while he was under the fig tree (v. 48), was in fact meditating on Genesis 28; then the language and import of verse 51 makes perfect sense. One other possible clue: Jacob was of course known through much of his life as a deceiver (for instance, he stole his brother’s birthright through trickery; and also served to gain advantage over his father-in-law through devious methods); so perhaps when Jesus identities Nathaniel as “an Israelite indeed [a namesake of Jacob himself], in whom there is no deceit,” (v. 47), this may another indication that Jacob and his dream are the context of this account in John 1. This cannot be proven; but its seems highly likely, based on Jesus’ carefully chosen words and the contextual clues. This of course makes Jesus also the fulfillment and embodiment of the Revelation and Response paradigm (see Worship Notes 1.5) that we have seen throughout our look at worship in the Old Testament, and that underlies all worship and indeed all of God’s dealings with man. Hebrews 2:12 succinctly illustrates this fact (again, see the resources listed below for more on this stunning truth).